Official Product of Ultimate Arms Gear, Brand New. Designed and Manufactured In Israel. 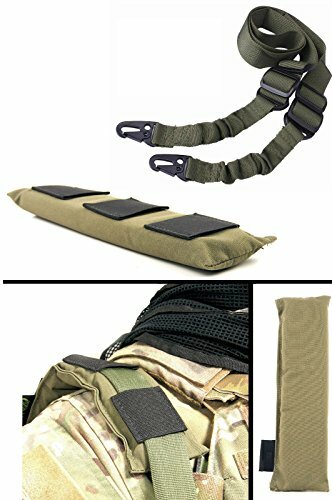 Package Includes: OD Olive Drab Green Shoulder Pad + Two-Point Sling, OD Olive Drab Green. Made In Israel, Designed for IDF Israeli Defense Special Forces. Color: OD Green. Eases Pressure Off Your Shoulder While Carrying the Weapon for A Long Time. Simply Slide In Under 3 Loop Secure Holes, Easy Installation. Premium Weatherproof For Every Solution. Superior Quality Metal Hook.